The purpose of this project is to demonstrate the use of a hardware interrupt to control AC power levels to a load such as a lamp or small AC motor. Note the "power on" switch must be pushed for the circuit to operate. 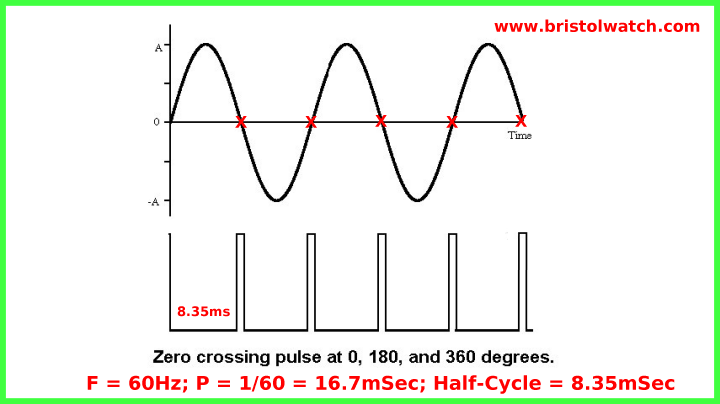 Zero crossing pulse from 4N25 in relation to AC sine wave. This illustrates to process with full-wave unfiltered D.C. but the process is identical with A.C.
By programming a delay of between .1 and 8.2 milliseconds (.1 and 9.9 on 50Hz systems) based on the voltage value on pin AD0 we control the firing point of a triac, transistor, or silicon controlled rectifier to control power output. control is adjusted the circuit should act as a lamp dimmer or speed control for a motor. If the lamp dims as the control is adjusted clock-wise reverse the two outer connections on R3. A circuit such as this can do far more than a $3 lamp dimmer. 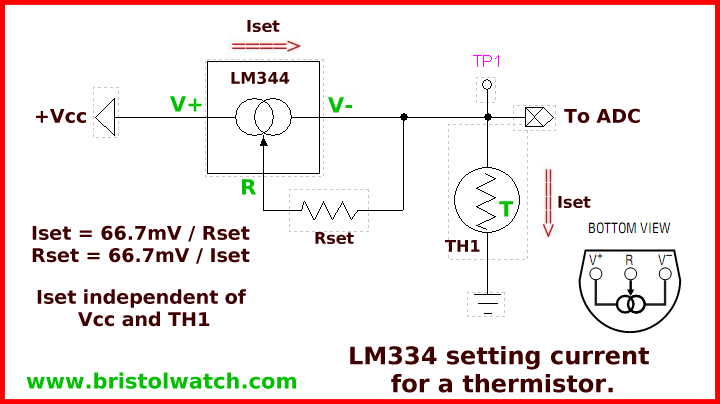 By connecting a thermistor to measure temperature (or an appropriate thermocouple circuit) to one of the analog inputs we have a proportional heat controller saving energy costs. We could control a heating element or the speed of a blower fan proportional to temperature. By connecting a photocell we could control light intensity of lamps in proportion to natural light, saving energy costs with say sky lights. I use a version of this on my water heater to control a narrow temperature range. In a proportional controller for heat as an example as the desired temperature is reached, power input is reduced automatically (delaying the firing point on the triac) and enough energy is added to maintain temperature. In a cheap mechanical thermostat power is all on or all off producing overshoot and undershoot. This is unacceptable in many industrial applications. See Controlling Low-Voltage Driveway Lights with the ATMEGA168/Arduino In that circuit we use a CdS photocell instead of a thermistor, but the circuit is identical. Power output to triac activated by external switch. // change 7 to 9 if 50Hz.